Note From TG: Today’s guest post comes courtesy of Long Island based personal trainer and coach, Chris Cooper. I had the pleasure of meeting Chris in person a few weeks ago in NYC during the Motivate & Movement LAB hosted by Mark Fisher Fitness. Enjoy. I think you’ll like this one a lot. Simple almost rarely means easy. When it comes to exercises, simple just means there is a lot less that can go wrong. Which in most cases leads to a surprisingly difficult yet effective exercise. One look at the exercises below without experiencing them may lead you to believe they are easy. Test them out for yourself – with proper form and focus – and you will change you opinion instantly. Last year, while presenting at a personal training conference, I discussed with the attendees the subject of simple exercise selection for their clients. 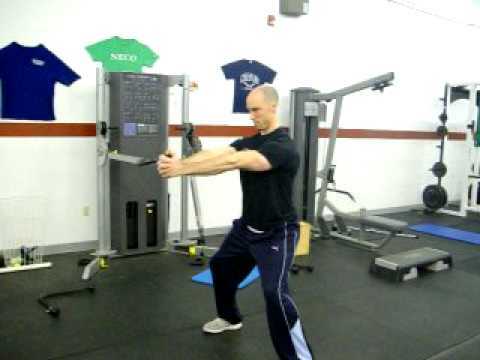 The Pallof press was given as an example as the exercise that appears “simple” however not necessarily easy. I further explained how countless clients have given me odd looks as I demonstrated and explained it, thinking there is no way it has any effect on their bodies. Low and behold, they end up shocked by it, exasperated, and boasting about how much they felt it. Fortunately, there were trainers present who had not been familiar with the Pallof press and thus proved my point, exercises that are “simple” may not be easy to perform. Especially, with the ever changing variations that the Pallof press holds. My programming and exercise selection are notorious for having such exercises…the ones that look clearly simple or as though the client has to do absolutely nothing to complete the task. That is until the client performs the exercise for themselves. Not all exercises have to be elaborate or complex. Simple can get the job done. Many of the exercises that you see being performed in the gym or in workout videos are so complicated and involve many moving parts that it’s hard to know what to concentrate on, let alone the benefit. Take a look at any ‘Gym fail’ type video, you see people attempting to squat and deadlift on Swiss balls. It looks as though they were taping a submission for the circus. Now stop and think, Why? What training effect are you going to achieve from that? How long did it take to setup that exercise and how many sets did he do that for? That time and energy could have been used more efficiently and safer by taking a simpler approach to their training, even if it didn’t look as impressive for the internet. Simple is usually more effective and potentially jaw dropping. 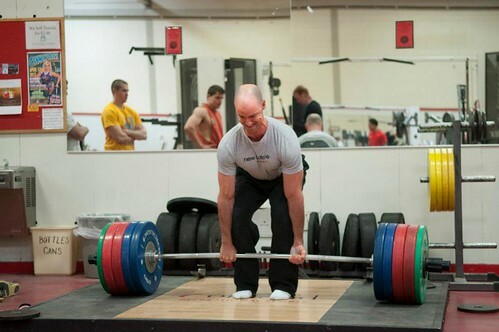 A deadlift isn’t complex. It’s simple. Pick the bar off the floor. Sure there are subtle nuances to a deadlift that will increase your lift and make it efficient. It boils down to the simple act of picking a bar off the ground. Maintaining core control in simple movements will carry over into core control in other exercises. Take the quadruped position, elevate one of the knees off the ground as though you’re going to crawl with the other on a yoga block. Then throw in a hip extension drill on the non-supported leg. Now you have a great core exercise that forces you to control any side to side hip shift. Want an even bigger test? Put a ball on your back and don’t let the ball fall. Lay prone with the knees bent at 90°, place a yoga block between your feet. Squeeze the block with your feet, then lift towards the ceiling. You should feel your glutes all the way. This is almost like a reverse hyper extension, with limited range of motion. A great drill that teaches how to keep the upper back tight, which will carry over into multiple exercises, like the deadlift, pullups, or front/back levers. The key to this exercise, besides keeping tension through the lats and upper back, is to actively maintain core stability. When you release your hand from the ring unilaterally, there will be a shift in your weight, core and glute tension will prevent this. Similar to a single leg glute bridge, which is another simple option, the glutes need activation for many people. With one leg bent at 90° and the other extended with the calf on the roller, brace your core and press into the roller to elevate the hips off the ground. Concentrate on the glute firing, and keep the hips from shifting. Credit for this one goes to Perry Nickelston. How often are you rolling on the ground? Or better yet, when was the last time you rolled around on the ground? A long time? I thought so. Give these ago, they are harder than they look. Once again, focus on control throughout the exercise. This a is (Dr. Stuart) McGill exercise through and through. It is the epitome of simple, yet such a struggle. The key, much like the other exercises in this list is maintaining core control and not letting the hips shift. Keep the hips from shifting as most of these are unilateral exercises. Remember, don’t judge a book by its cover. When it comes to simple exercises, looks can truly be deceiving. Just give any of theses a try and you’ll learn firsthand. Complicated exercises leave room for complications. Keeping things effective and simple. Chris Cooper, NSCA-CPT, LMT is a personal trainer with over 9 years of experience in the fitness profession. He is co-owner of Active Movement & Performance, a training facility on Long Island. In addition to being a trainer, he is also a New York State Licensed Massage Therapist, which has allowed him to blend the two worlds to not only get his clients stronger and in better shape, but to also fix dysfunctions to make them better movers overall. His firm belief in education is manifested as an educator for Fitness Education Institute, presenting at their yearly convention, as well as participating as an expert contributor for watchfit.com. Some really cool exercises Chris. Really like the ring tap and hold. That doesn't look simple or easy.